Credit for the idea of the Hibbing Airport is given to Professor R.F. “Shorty” Davis, an automotive instructor at the Hibbing Junior College. 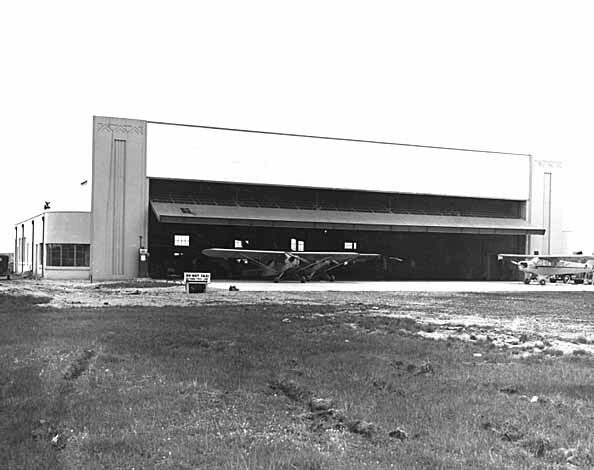 1927- Mr. Davis purchased a Waco biplane in 1927 and, after taking a course in flying in Minneapolis, started a flying school in Hibbing in 1928, utilizing the Fair Grounds as a runway. 1928- Realizing the time would come for a municipal field in the village Mr. Davis sought out other locations, and bought a 160-acre tract at this site. He soon organized the Minnesota Flying Service, which in addition to providing flight training offered short sightseeing tours and long-distance charter trips. 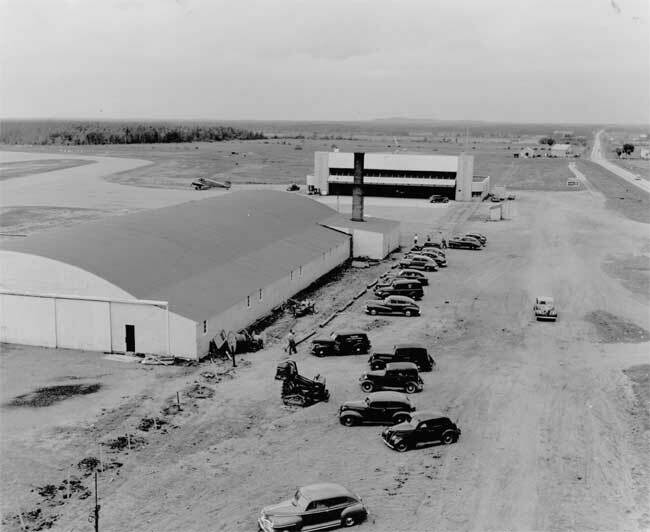 1940- During the years of the Great Depression, the Works Progress Administration constructed the first permanent airport structure, a large storage hangar. 1948- The economy of the Iron Range was greatly enhanced by the arrival of air service provided by Wisconsin Central Airlines. This service was made available through the combined efforts of Hibbing and Chisholm city officials and supporters. The first three aircraft serviced a 150-mile radius around Hibbing with mail and passenger service. Wisconsin Airlines later changed its name to North Central in 1952 and then to Republic Airlines when its routs went nationwide in the ‘70s. In the ‘80s, Northwest Airlines purchased the airline. Most recently, the airline was merged with Delta Air Lines in 2008. 1958- An agreement was reached between the village of Hibbing and the city of Chisholm to establish a joint governing body, consisting of six commissioners (three from each city) to manage the airport. 1994 - State legislature approved the current governing body entitled the Chisholm- Hibbing Airport Authority. The airport has benefitted from multi-million dollar grant projects, enhancing the field with a 6,758’ x 150’ primary runway, a 3,075’ x 75’ crosswind runway and dual opposing instrument landing systems on runway 13/31. 2010 - Airport Authority changed the airport’s name from the Chisholm-Hibbing Airport to theRange Regional Airport to recognize the regional market the airport has been serving for many years. 2015– Our new commercial terminal was dedicated on December 10. The building was designed with materials that tell the story of the Iron Range to all who travel to and from here. Present - The Range Regional Airport currently provides daily commercial flight to Minneapolis by Delta Air Lines, charter flights to Laughlin, Nevada, by Sun Country Airlines, Life Link III air medical services, DNR aerial fire suppression and multiple general aviation services.